Who's Up For A Long Drive? 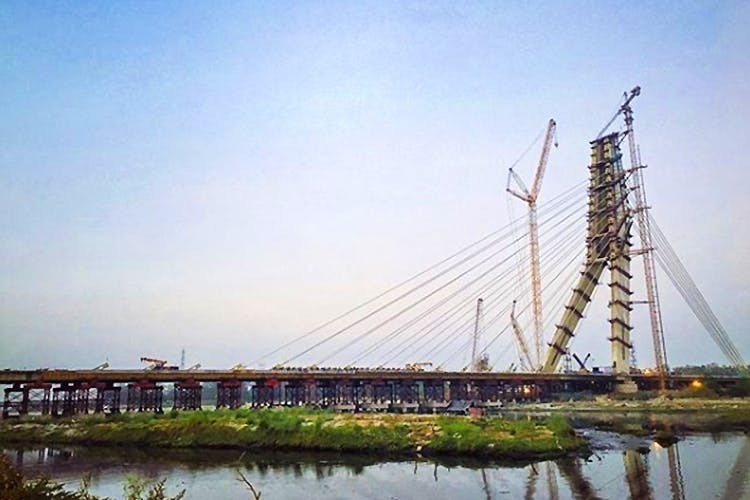 The Signature Bridge Opens To The Public Today! The Signature Bridge or "Delhi's Pride" as they're calling it, has been inaugurated and is open to the public from today onwards. The bridge will significantly reduce commute time between North and North-East Delhi, and will ease up the traffic on Wazirabad Bridge for people commuting from Delhi to Ghaziabad (by at least 30 mins). The structure stands 154 metres tall (that's twice the height of Qutub Minar) and we can't wait to check out the skybox on the main pillar where you can soon get a bird’s eye view of the city (that's expected to be open and functional by February). The next three months will witness a makeover of the surrounding areas of the bridge to turn it into a tourist spot. PS: After Diwali, the bridge will be closed from 11pm to 5am for around a month to complete the work on the viewing gallery at the top. We sure can’t wait to see the city from above (once the pollution levels recede, that is).